All-way stop signs have at last been installed at a Long Island City intersection after many years of advocacy from local parents and elected officials. The city finished installing the stop signs, facing drivers heading west along 46th Avenue and 5th Street, last week, with officials and locals holding an event yesterday to celebrate the improved intersection. 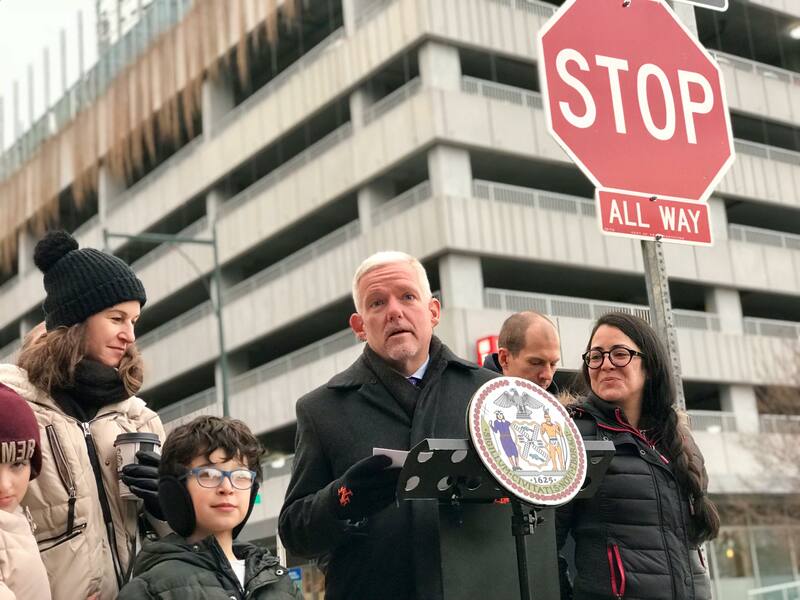 “Nothing is more important than keeping our children safe, and the installation of this new stop sign is a hard-earned victory for the parents, students, and residents of Long Island City,” said Council Member Jimmy Van Bramer. 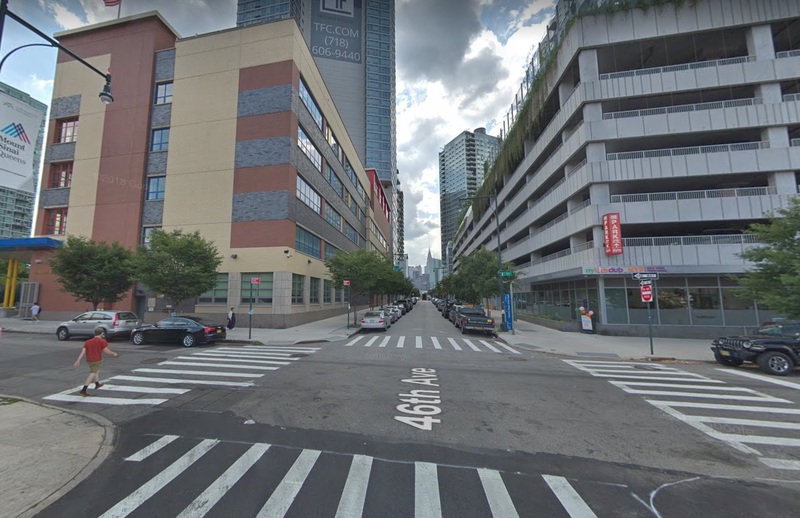 Van Bramer recalled the past seven years of rallies and other community efforts to get stop signs and other traffic calming measures in the corridor, which several in the area had described as busy and dangerous. The intersection is located just outside P.S./I.S. 78’s middle school building at 46-08 5th St. and New York Kids Club, where students and parents say drivers speed down the length of 46th Avenue to get to Center Boulevard. City data shows at least two motorist incidents that occurred at the intersection in 2016 and 2012, although the extent of collisions at the location is unclear. The Department of Transportation had said over the years that the intersection did not meet the criteria for a stop sign after conducting multiple studies. The intersection has been studied three times since 2014, with the latest study on October 2018 showing pedestrian and traffic counts that warranted the new signs, the agency said. “DOT is committed to working in Long Island City to make this growing community’s streets safer for everyone who uses them,” said Nicole Garcia, the DOT’s Queens borough commissioner. The agency has also recently installed a curb extension at the location, too, for traffic calming. Seven years? 90% of the DOT should be fired and replaced with potted plants. The department would probably be more responsive and have a greater sense of urgency. Just shows how ineffective Jimmy Van Bramer is. When are they going to make 47th Rd between 5th & Center Blvd one way. Let’s get it done, Jimmy!! Glad there is a stop sign up, too bad it is behind the school zone sign though. Really sad that this intersection between two schools took 7 years to get a stop sign. It is a miracle that there was never a serious accident. MORE ENFORCEMENT. The 108 is out around the clock giving it out tickets at one particular intersection, but I would love to see them do this at all stop signs in the neighborhood. I see pedestrians, including myself, almost getting hit in the crosswalks every single day.